Join Inge & Karolien for a week of yoga, fun and relaxation in the French Pyrenees. Experience a truly magical place where the sounds of rustling trees and chirping birds will allow you to reconnect to your inner peace and quiet. The energy of the place is soothing and enthralling and will support you in letting go of anything bothering your mind. Practice daily yoga and take some time to unplug and rest at the natural pool with an amazing view. 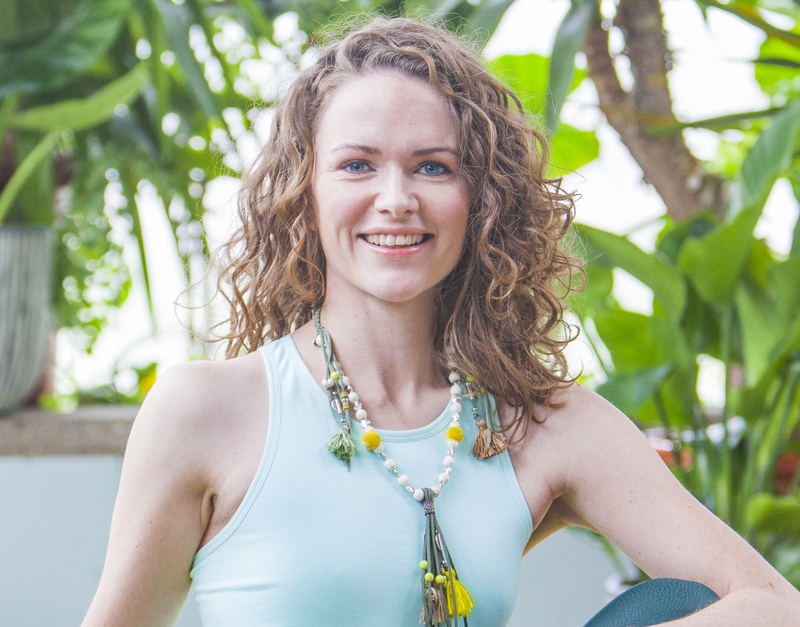 Whether you are new to yoga or more experienced, travelling alone or with friends…. 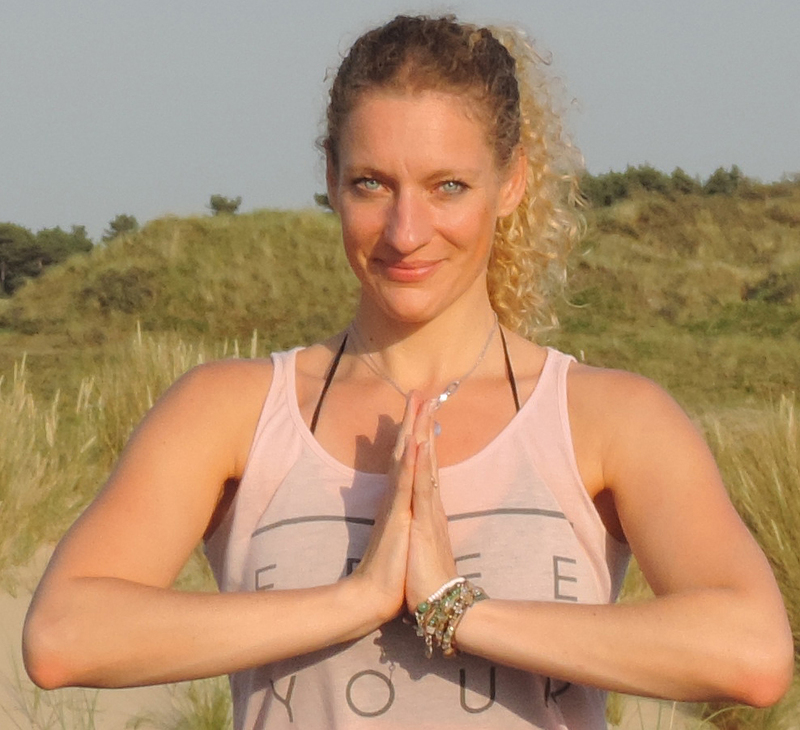 Karolien and Inge are experienced yoga teachers who offer classes that are deep, fun, and inspiring. During the retreat they will combine pranayama (breathing techniques), asana (physical posture), mantra (chanting) and myths (philosophy) into a liberating and energizing cocktail. The practice will be adapted to meet the needs of each individual and there will be plenty of time for questions, personal attention and adjustments. The retreat will be taught in English and Dutch (depending on the group composition). MasVilalte is a cute little 16th century hamlet turned into a modern, comfortable retreat location situated on the south-facing slopes of the Pyrenees at an altitude of 920 m offering breath-taking views over the surrounding mountains and hills. It is a 1,5 hour car-drive up the hills away from Perpignan and the closest village is Arles-sur-Tech (about 20 minutes by car). Scroll down to find info on how to get to MasVilalte. This gem is the perfect spot to unplug, tune in with yourself and recharge. Due to its isolated position, you only hear the sounds of nature (instead of the sounds of our all too familiar concrete jungles). Another plus of its isolated location is the absence of light pollution by night which allows for the most beautiful starry skies to be seen and falling stars to be spotted! MasVilalte is surrounded by acres of pristine forest offering adventurous hiking trails between enormous granite boulders and ageless oaks. The natural pool and the beautiful gardens with fountains provide space to relax and refresh. We will meet each other on Monday, June 24th at [TIME TO BE CONFIRMED] at Barcelona Airport. From there we organize transportation at your cost (by car or shared coach depending on group size) to bridge the distance to MasVilalte. It’s an 3,5 hour drive on good highways and roads. On Sunday, June 30th we will have a morning practice and breakfast/brunch. After that we travel back to Barcelona where you can catch your (early) evening flight back home. We advice you to book flights departing after 18:00 PM. In case you come by car we will meet you for lunch on Monday, June 24th at 13:30/14:00 at MasVilalte. On Sunday, June 30th you are free to leave anytime after breakfast/brunch. Alongside a daily yoga practice, massages have a powerful recuperative effect on the health and vitality of your body, even within the space of just a week. That’s why we include in the price of your retreat a 50 minute massage treatment by our professional massage therapist Marjolein! Extra treatments can be booked on the spot when time allows (please bring cash). We will enjoy wonderful, nourishing, organic food, either grown in the gardens at MasVilalte or locally sourced. Three delicious, satisfying vegetarian meals will be cooked for us each day (vegan options available, please inform us). The tap water comes from a private deep well and is mechanically and UV filtered and therefore excellent drinking water. The rooms and facilities have been carefully renovated with natural and sustainable materials providing luxurious comfort and residential quality of the highest standard. Your spot is secured after we have received the full payment. Single or private double rooms are limited and available on demand. Please drop us a note to inquire for possibilities and prices. Transfer from airport to retreat venue. We will organize this for the group. More information on how and pricing will follow. Cancellations after 20 April 2019 cannot be refunded. “For many years I have been attracted by the power of massage, because receiving them was a way to become present in my body and with that return my busy mind to the here and now. That’s why I decided to make a career switch and to become a professional massage therapist so I can pass on what gives me such a deep feeling of being relaxed and alive. I am on this journey now for a year and I am studying different types of massage including relaxation, Vreeling deep tissue, Thai yoga massage (mat/table, deep tissue, chair and foot reflexology), and shiatsu. My massage style is a personal mix of the above. I tune in on what is needed for you and your body at that moment to give you the best experience. I might also include Reiki and the use of essential oils.